Walking into Ivy at the Glenn, located at the heart of the Streets at SouthGlenn shopping area, one of the first things you notice is the natural décor. Beetle-kill logs adorn the restaurant’s back wall from floor to ceiling, and in chilly weather a fireplace warms diners and provides cozy ambiance. When it’s warm outside, diners can opt for a table on the patio, listening to the soft babble of the SouthGlenn fountain. That feeling of casual, unfussy elegance is reflected in the menu choices too. Fresh, seasonal preparations of pasta, meat, seafood and poultry are paired with creative salads and vegetable creations like wild mushroom strudel and beet salad dressed in a citrus vinaigrette. Technology has its place here as well. Each table gets an iPad wine list, which allows diners to peruse a vast array of choices and obtain more information than is available on a traditional menu. Part of that difference is a menu that changes seasonally to allow for choices from the best of what’s available at any given time of the year. In the summer, menu choices include fresh salsa and seafood and other light choices. During colder months, stews, bouillabaisses and braises take a starring role. 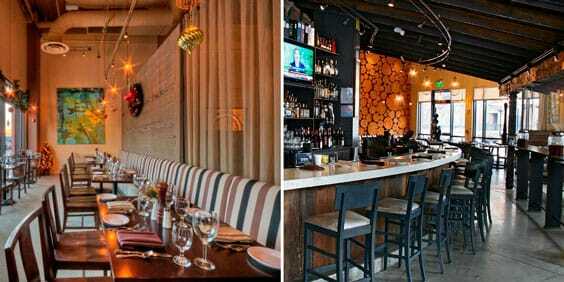 Lambatos is something of a superstar on the Denver dining scene. He founded Quiznos, the well-known sub sandwich and deli restaurant, and built a solid reputation running Footers Catering, which is now run by son Anthony and daughter-in-law April. During his tenure at Footers, Lambatos built relationships with several clients living in the South Metro area. 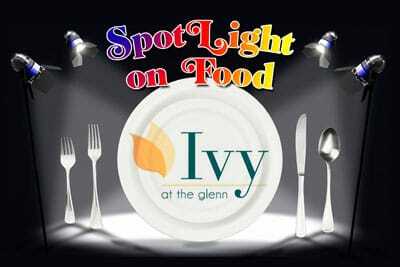 Ivy at the Glenn is located at the Streets at SouthGlenn, 6955 South York Street in Centennial, and is open daily for lunch and dinner, with brunch on Saturday and Sunday. For more information, visit www.bestrestaurantsdenver.net. For reservations, call 303-730-7200.